Above, OS/114 for the Vox UL430 and Vox UL730 power section, dated 28th February 1966. Note that a small batch of pre-production amps – made at much the same time as the Beatles’ small-box 7120s – were built differently. At least one of these early 730s survives (currently in the UK). OS/114 indicates that the negative feedback line should only be for UL430 bass amps (FOR BASS MODEL ONLY). As mentioned in the post below, UL760s had no feedback circuit to begin with, but at some point mid production one was subsequently added. 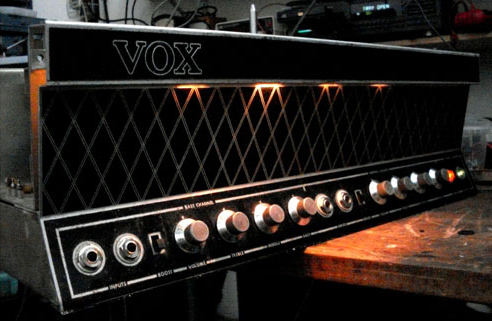 A Vox UL430 chassis on the work bench. Note the small ding at the lower left corner. This amp does not seem to be among the 430s already registered on this page. The amp is included in the corrected total known to date a couple of posts below. 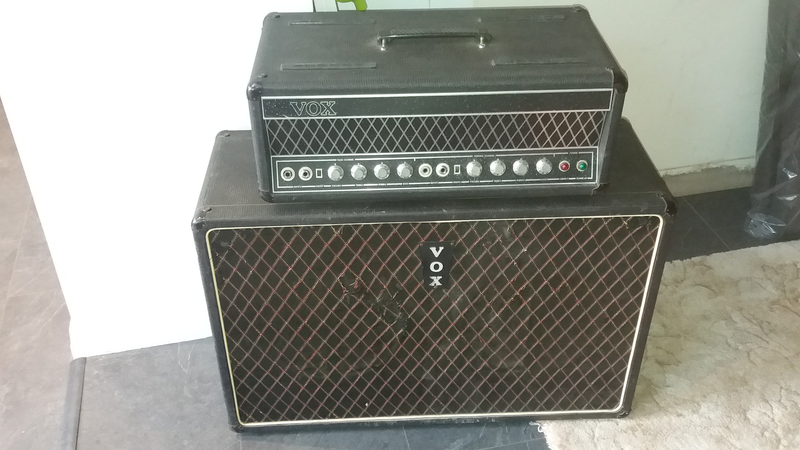 Possibly the same amp photographed more recently, though the detail is too small to tell for certain. 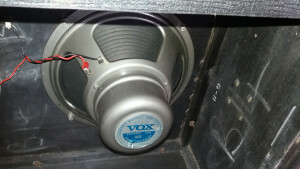 Pics of a further Vox UL710 added here, from an auction a little while ago, a distinctive scuff on its control panel. Probably currently in the USA. Most 710s have Bulgin mains sockets on their rear panels (including the one just posted). No. 1099, however, has an Amphenol. Pictures of Vox UL 730 serial number 3002 with and without a cab now brought together. Pictures of Vox UL430 serial number 1047 registered here, and three pics of serial no. 1052 in its former home in Messina added. Six UL430s are now known (one not pictured) – five amp and cab sets, one amp + 460 trolley. 29th Oct. 2017 – to correct the statement above, it turns out that at least eight 430s are known to survive – five amp and cab sets, and three amps alone. Pics of two 4120s added on this page – serial number 235, which is new. Thanks to Tim. 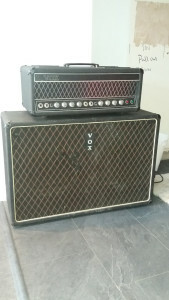 And an amp that spent a good deal of its working life in Wales paired with a Super Foundation Bass cab (towards the foot of the page, among the amps with missing serial plates, or numbers simply unknown). Old pics of 213 have been now been matched up with a newer set showing the serial number. Ten 4120s in total are currently known. It seems likely that others will surface. For the time being, a couple of 760s which came to light recently in the UK – serial numbers 1004 and 1041. The amps have been registered here. A set of pics of 7120 serial number 1041 has been posted on this page. 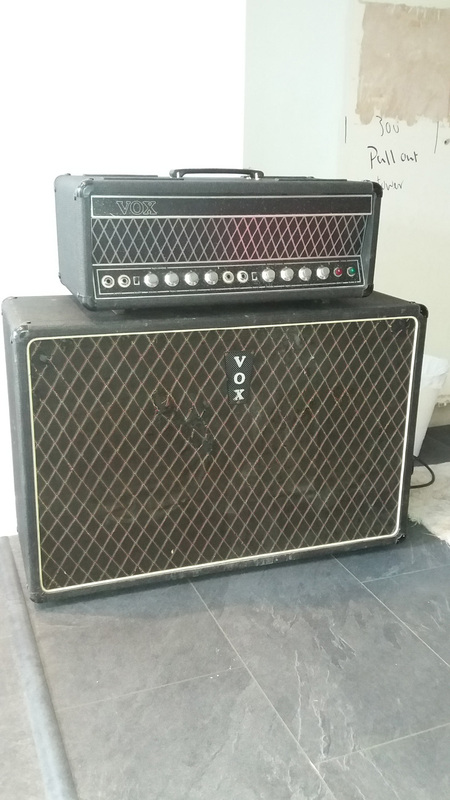 The amp was for some years in Northern Germany, now in the UK and for sale. The page on surviving UL730s has been tidied up and two new amps registered, one currently for sale in France, the other in Denmark. The large set of images of serial number 1052 has been moved to a page of its own. Sets of pics of four more 710s to be posted in the course of this week. Triumph Electronics, which assembled the 4 and 7 series for Vox, was a small place and produced work of the highest quality – but not always in an orderly linear fashion. Elements changed as production proceeded. Wiring was copied from sets of component boards not designs on layout sheets. 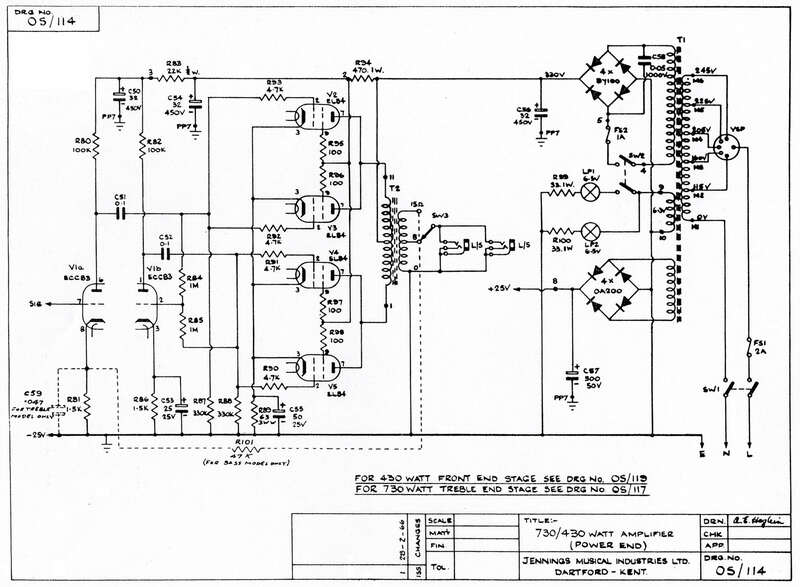 The schematics as we have them were for the repairmen and service departments, not the wirers and assemblers at Triumph. And there is no question of anyone fooling anyone, or anyone being fooled if the circuit of an amp did not correspond exactly to what was delineated on the schematic. Most of the schematics as we have them are in any case relatively late, being fair copies of earlier sheets (of an unknown nature). 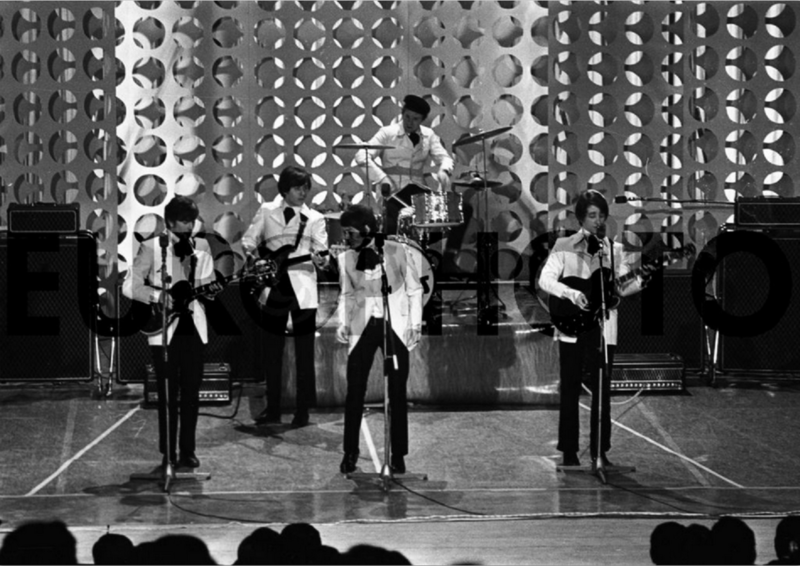 The Hollies at the San Remo Festival, February 1967. In the back-line, two AC100s, and two 7120s and cabs. The 7120s are on the stage floor in front of the cabs – presumably because the trolleys lack their top bars (ie. the section the amp would conventionally sit on). The side stands, however, are still in place. This may have been a Vox sponsored event – Los Bravos are also pictured using the same equipment. One might be forgiven for conjecturing that the trolleys were damaged in transit from England. 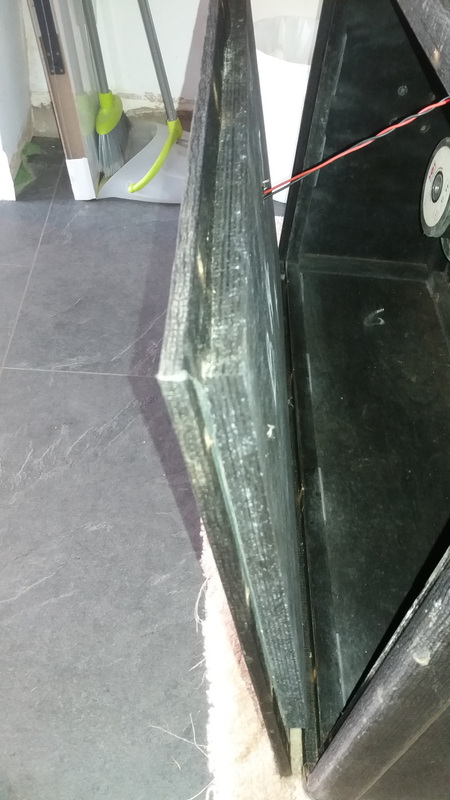 Further pictures of UL430 serial no. 1052 and its cab now posted on this page. Pics of 7120 no. 1041 and two 710s to follow. Quite a backlog of new info and amps to appear soon. For the time being, some images of 430 serial number 1052 and its closed back cab (not too many of those around). Further pics and details (thanks to Steve) to follow soon on the “surviving amps” pages (see the link at the top of this page).